N is a natural for nature. The word “natural” always makes me think of health and today, I am thrilled to introduce you to my friend and best-selling author, Farnoosh Brock’s second gorgeous book “The Healthy Smoothie Bible: Lose Weight, Detoxify, Fight Disease, and Live Long“. 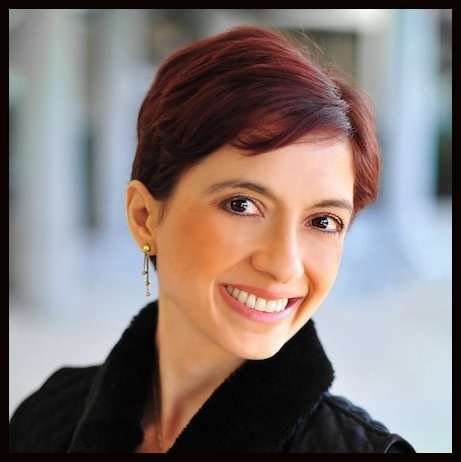 I absolutely enjoyed and reviewed Farnoosh’s first book “The Healthy Juicer’s Bible” a few months ago and soon after, when she mentioned working on another book, I thought, wow! Now, she’s the sort who is blessed with focus and in turn, I am fortunate to have received an advance review digital copy of her second book, The Healthy Smoothie Bible where she talks about easy-to-make healthy delicious smoothies made from all-natural ingredients. No shopping at fancy health food stores, no going organic. In fact, just healthy living with your normal every day shopping on a decent budget. That’s the USP of this book. The Healthy Smoothie Bible is an excellent reference that inspires you to create variety to keep you hooked to your smoothie habit. The book begins with a good dose of inspiration where Farnoosh shares her personal journey from not being happy with her body image to choosing a healthy and natural lifestyle without going on fad diets. She explains how she switched to green juicing and then to green smoothies. The point to note is, besides green juicing and green smoothies, she also enjoys solid food. The Healthy Smoothie Bible is full of practical information for anyone interested in getting started on smoothies. It has 108 delicious recipies with tips to create your own. 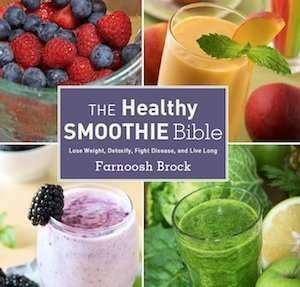 In short, The Healthy Smoothie Bible is just what the name suggests. Filled with delightfully attractive photos that made me drool, the book is a great inspiration to heal your body and get on the path to healthy living. What I like about the book is this: just about anyone can start the smoothie habit without stressing over counting calories or finding fancy ingredients. If you have access to a grocery store, veggies, fruits and greens and a blender, you are all set. The main reason this book appeals to me: Farnoosh practices what she preaches. Her updates are there to see for anyone who follows her on Facebook where she keeps her community engaged. Also, as a diabetic, smoothies make a great in-between meals snack for me, especially now, when the weather is warm enough to melt us. 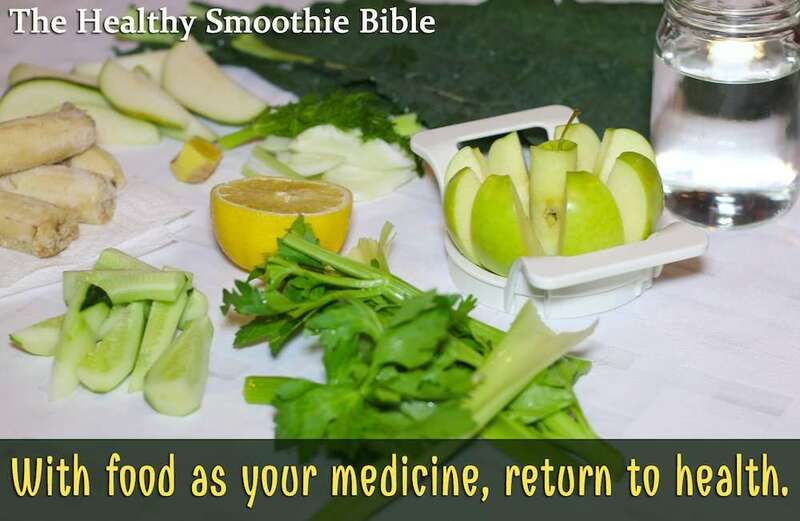 If you believe that health is wealth, The Healthy Smoothie Bible makes for a great guide. 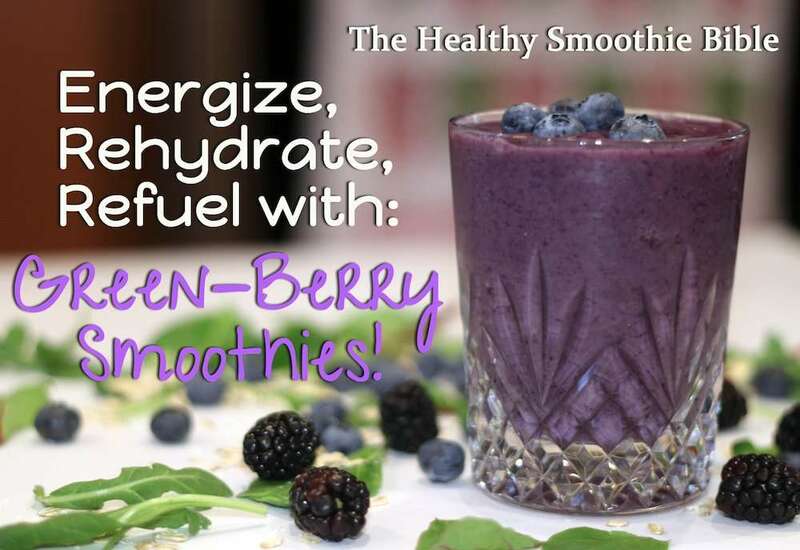 That we must eat healthy including fiber and raw foods in our diet is something we all know – and smoothies can fit into just about any kind of diet and lifestyle. Who wouldn’t want a tasty way to lose weight and stay healthy? Farnoosh recommends adopting smoothies as a lifestyle and a habit where you crave for the healthy stuff. And she shows you how to stay motivated when your enthusiasm starts to wear off. What can be better than that? Farnoosh Brock is the founder of Prolific Living. She is a published author, speaker, business coach, podcaster, social media enthusiast and an expert green juicer who left a nearly 12-year successful career to start her own media and publishing company, Prolific Living Inc. She is passionate about showing you how to define your own freedom in first your health and then your career. She infuses her love of green juicing and green smoothies, Ashtanga yoga, writing, photography, languages, and world travel into her brand and inspires you to pursue your dreams and your creative genius. Visit her website. Follow her on Facebook and Twitter. Watch her on YouTube. Grab the book – you will love it! Are smoothies a part of your diet? N is for Natural and it is a book review of the lovely “The Healthy Smoothie Bible” by Farnoosh Brock. Thank you SO MUCH for the smoothie love and your own enthusiasm, dearest Vidya, about health and moving in the right direction as we get older and wiser. You are a gem and I’m over the moon that you enjoyed the book. Wow so informative and practical post. I have book marked the post! 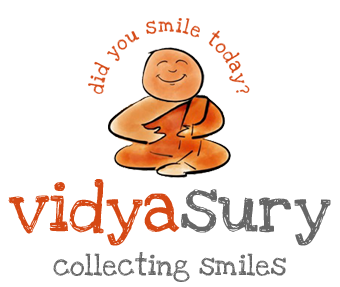 Sreeja Praveen recently posted…A to Z Random Post # 14 NO !! Marie Abanga recently posted…Emotions and Well being! Corinne, cucumber smoothie – yum and thank you for sharing the post on G+. I hope you can enjoy the book soon! I put 108 recipes …. 108 because it’s such a special number in India and in yoga. I’ve never felt the need or desire to have a smoothie. I eat lots of fruits and vegetables and drink quite a bit of water and green tea, also have a bit of milk and yoghurt. Would it be more beneficial for me to have smoothies? So smoothies help you get a lot of nutrition without a lot of chewing work 🙂 I find that it’s easier and faster and more adventurous to drink my greens and fruits than having to chew them. For example I hardly ever eat apples by themselves – I love them but I eat them easier when blended in a smoothie … It is also a far more efficient way to get the nutrition because your body actually absorbs more of the nutrition when it’s already been broken down than if you had to chew it …. I hope this helps. I haven’t had a smoothie till now. My mom keeps complaining that how after joining work my fruit intake has reduced.. May be I will try smoothies..
Sheesha, YES! They can be both Tasty + Healthy. Thank you for saying that and enjoy. Let me know your favorite recipe if you get the book. Beloo, I am in love with my salads – in fact, ask my hubby and that’s pretty much what I can make decently in the kitchen. I’d say think of smoothies as an ADDITIONAL way of getting your fruits and veggies. You may just love it :)! Sam, you’ll just love it. It is a beautiful book. But more than that – everything is do-able! Hugs! I am thrilled to see you’re Farnoosh’s fan, like me! Sam, I am SO happy to hear this, thank you :)! Let me know how you like this one – a lot more recipes in this book …. Vary it up and you’ll love the excitement in every glass, Kathy! Nobody would make them as well as YOU would, Aditi ;)! 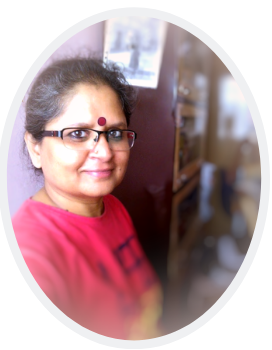 Shailaja V recently posted…Only That! Vidya, what an engaging community you have – I am so happy I was able to inspire a few here to try smoothies and most of all, bring our attention together to our health- which is a treasure that we must protect and guard daily. THANK YOU! Farnoosh, entirely my privilege to show off your book! Thank you so much! We have had a smoothie for breakfast every morning for over 35 years. As a health coach, this is one part of teaching people how to build strong immune systems. So glad to get the vote of support from you, Carol. Thanks for sharing. Those smoothies look delicious!!! Yummy!